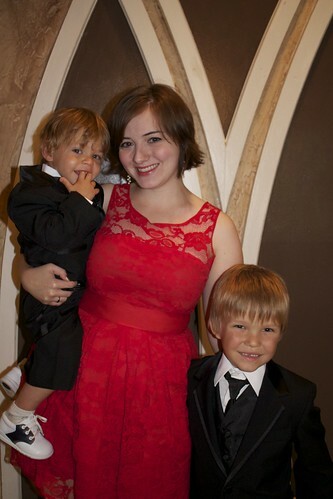 Aaron’s sister got married this weekend. 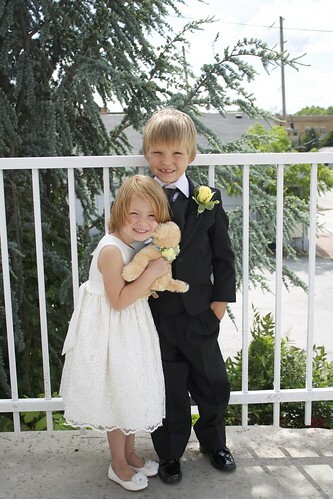 Reed and Lena had the honor of being a ringbearer and flower girl. I had to pay them each 50 cents to “hug” for this picture. Later when I told someone else that Reed said, “and it was terrible. I was allergic.” For the record, I don’t normally bribe them, but I couldn’t resist getting a sweet picture of them dressed up. 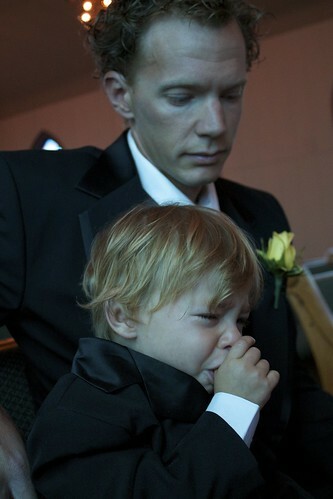 Gus was very bummed he wasn’t asked to be a ringbearer. 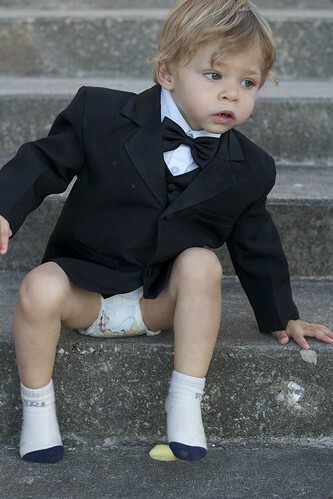 Actually, he just hates tuxedos. Especially the shoe part. Fortunately, I was able to coax a smile out of him. 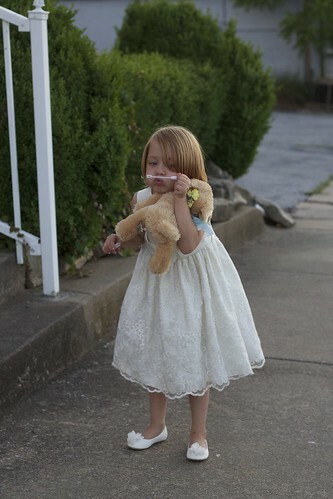 She was so happy to be a flower girl. Gus was all better once we ditched the pants. The simple joys of being 5! And lastly, as I said on Facebook, sometimes it’s best to just take the girl and leave your pants. Baha! that last picture is the cutest! Although the one of R & L is quite sweet too. Many blessings on y’all! Very cute. Glad everyone survived all the excitement! 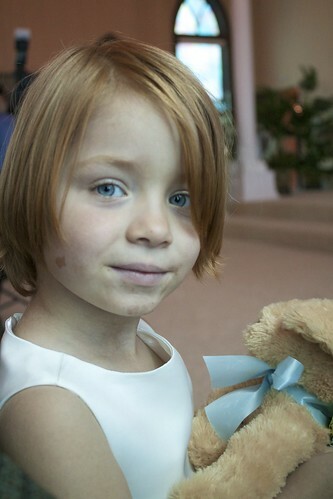 Lena is GORGEOUS! You’ll be happy she had two protective brothers one day 😉 Looks like a special day. Thanks for sharing! That picture of Gus sitting on the steps is so adorable. Looks like something in a magazine! That photo is WELL worth the bribe!